The 2-1 Juventus victory in the first leg was a great step forward for this Juve squad. There was however one big fat exception to the success of that day – Borussia Dortmund’s goal. Marco Reus, one of the best players in the world, was given free reign over Juve’s half after Giorgio Chiellini slipped, and a player like Reus isn’t going to blow a chance like that. The away goal, in some ways not indicative of the general performance of Dortmund’s attack, keeps this tie very close going into the second leg. Juve have been scraping out 1-0 wins in recent games, largely due to moment of individual skill or ingenuity. Still, they have generally stepped up to the European level ever since that win versus Olympiakos in the fall. 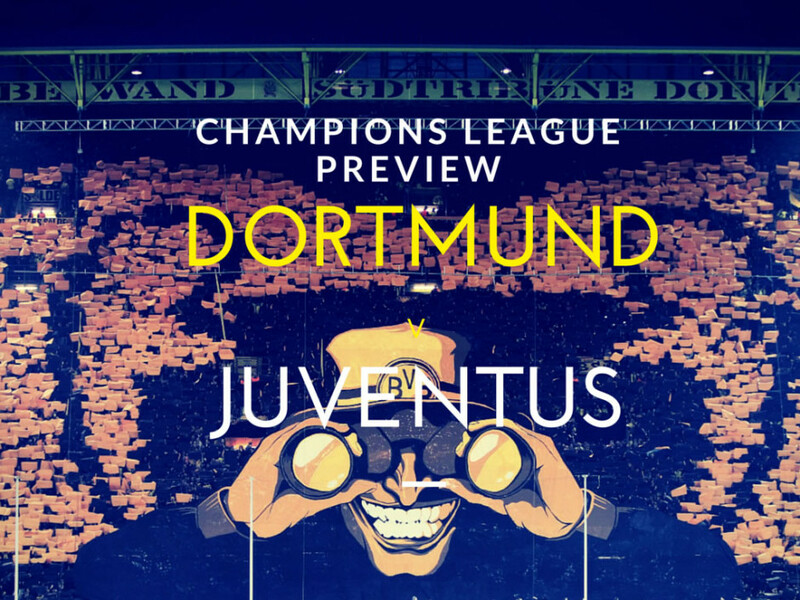 Given the stakes of this game, and the fact that Dortmund can go through with a 1-0 win, we may not see an out and out attacking Juventus in this game. Perhaps the counter-attacking Juve we saw in recent weeks – even against smaller Italian sides – was a Juventus preparing for this match. Given that possible tactical decision, and a few fitness questions, we’re not really sure what formation Max Allegri will choose tomorrow. It’s between 4-3-1-2 and 3-5-2 of course, but I think this is mostly a superficial decision and the team will play in a similar style regardless of formation. Andrea Pirlo’s absence would seem to point towards a 3-5-2 since there is one fewer midfielder, but that is a bit of a simple distinction to make. Of course, having said all of that, the disclaimer is that nobody can accurately predict what goes on in the mind of Allegri, so maybe he will go with a 4-3-1-2 and have Pereyra start. In either case, Gianluigi Buffon will start in goal while Leonardo Bonucci and Giorgio Chiellini start at centerback. Andrea Barzagli will start if there is a 3-5-2, he is the one who would lose his spot if Pirlo were to start. It is arguably the hardest choice of two Andreas that has ever been made, both are very good players. Out wide the starters will surely be Patrice Evra and Stephan Lichtsteiner on their respective sides. Lichtsteiner had a fine performance last time versus Dortmund, while Evra is one of the most experience Champions League player on the squad. Now comes the midfield, always a tricky area due to the glut of skilled players there. Arturo Vidal and Paul Pogba are locks to start, Claudio Marchisio is probably the most likely after those two. Pogba of course was suspended versus Palermo, so he will be well rested, in addition to already being Paul Pogba. Then of course, there’s Roberto Pereyra and maybe even Kingsley Coman, both of whom could appear in the starting line up or as substitutes, depending on the choice of formation. Coman of course is not likely to start in midfield, but some reports have mentioned him as possibly seeing time there if Juve run out of manpower there. Finally, things are a bit more simple up top. Carlos Tevez and Alvaro Morata should be the starters. The duo were phenomenal versus Dortmund last time, and Morata scored a beautiful goal versus Palermo that proved to be the game winner. So this is one source of hope for Juventus fans in what should be a very close encounter. I think Juventus can pull out a victory over the two legs, even if they only draw in this second leg. However, it will be a tough game against a tough side, and it will be very hard fought and close. This will not be a pleasant 90 minutes for Juventini, or for Dortmund fans. But that is the Champions League for you. 4-2-3-1: Weidendeller; Kirch, Subotic, Hummels, Schmelzer; Sahin, Gundogan; Mkhitaryan, Kagawa, Reus; Aubameyang.